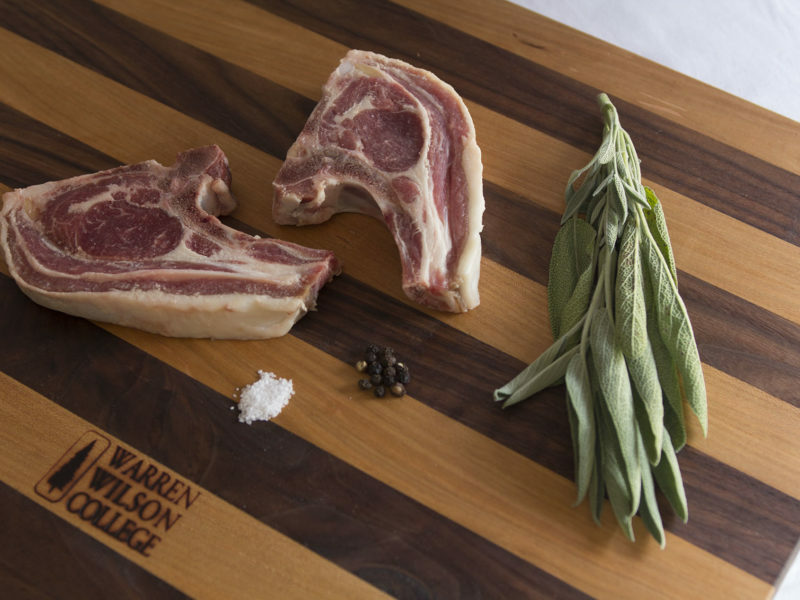 Warren Wilson lamb is grass-fed and grass-finished. We offer a variety of retail cuts and roasts, as well as a lamb half in our bulk sale. Please visit our F.A.Q. for information on how to purchase our lamb. Our lamb is born and raised on the WWC Farm. 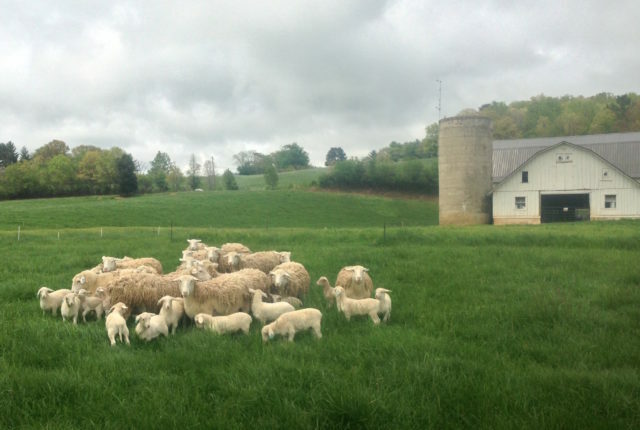 Our flock of Dorper ewes hails from the Biltmore Estate. Ewes are bred in the fall and begin to lamb in the middle of March. While lambing, new lambs and their mothers have access to our historic White Barn for shelter and a clean place to give birth. Young lambs are tagged, weighed, castrated (if male), and have their tails docked after birth. 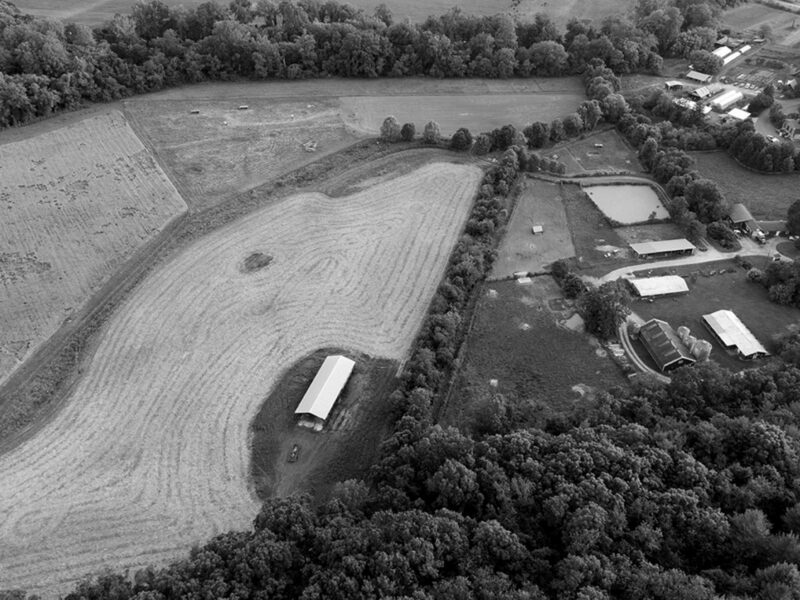 We dock tails to prevent several diseases prevalent in the warm and wet south in order to provide a better quality of life for our sheep. Ewes and their lambs follow the beef cattle through our lush bottomland pastures until the ewes self-wean their lambs in mid-summer. The ewes head up to the hillsides to graze for the Fall, and the lambs continue to graze the same high-protein forage mixes that our beef graze. Lambs are sent to the processor once they weigh 100-120 pounds.